Before we kick off, though, we're giving a quick shout out to one of our favorite titles: Torment: Tides of Numenera from our good friends at inXile Entertainment, which was just released yesterday! Just like Pillars II, Torment is an isometric, party-driven, cRPG, but Torment takes its inspiration directly from Planescape: Torment and the award-winning Numenera pen-and-paper RPG by Monte Cook. 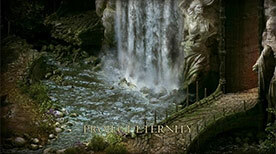 Having played Torment, wefeel Pillars II fans will enjoy its unique setting, beautiful art, and intricate gameplay. Now, back to the stretch goal! If you recall, Ship Crews offer a whole new layer of interactivity for player ships: Find, hire, and manage a crew. Once hired, crew members can be assigned roles on the ship, and will play a role in the events and battles that you encounter at sea. We are also introducing crew dilemmas that will allow you to take charge and be the captain when they look to you for guidance! This also puts in reach our next two goals: Sea Monsters and Fishing at $4.75 million and, of course, our 8th Companion, Ydwin, at $5 million. As a reminder, the Pillars II developers gave some details on how Sea Monsters and Fishing would work in a previous update. We're excited to see if we can achieve the next two goals before the 60-day slacker-backer period is up! Check out Torment and when you're ready, spread the word about our latest stretch goal achievements. Let's get to $5 million!